Would your business benefit from being able to understand the frequency and nature of the calls your employees are making? Alternative Communication Systems provide a software package that does just this, allowing management to monitor and analyse calls. Understanding this information can lead to development of your team members, and consequently improvements in employee productivity and costs. Our team in Oxfordshire can install software that allows you to monitor and record both inbound and outbound calls, allowing you the opportunity to go over calls with your direct reports at a later date. Think your business can benefit from call management and call monitoring? Why not discuss your requirements with our team today? Based in Witney, we’re available to travel throughout Oxfordshire and the wider UK – contact us today to find out more. Improve your business' performance with sophisticated call monitoring and recording technology. 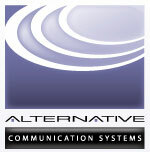 Call Alternative Communication Systems in Oxfordshire today to find out more.